Thua Thien-Hue province has been taking numerous measures to truly turn tourism into a spearhead industry, and these efforts have resulted in encouraging outcomes. In the first four months of 2018, the central province welcomed 1.89 million tourist arrivals, including over 750,000 foreigners – up 12.7 percent year on year. Local accommodation facilities earned some 557.1 billion VND (US$24.4 million) in tourism revenue, rising by 13.92 percent from the same period last year. Notably, more than 400,000 tourists came to the Hue Festival 2018 from April 27 to May 2, and about half of them were foreigners. 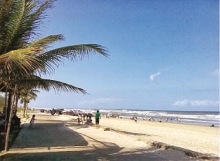 Deputy Director of the provincial Tourism Department Nguyen Van Phuc said Thua Thien-Hue aims to attract 4 – 4.2 million visitors this year, up 10 – 12 percent, with about 40 – 45 percent being foreign vacationers. 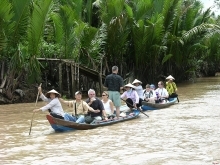 It hopes to record a 15-percent increase in tourism revenue to 4.2 – 4.3 trillion VND (US$184.1 – 188.5 million). To this end, he noted, the province has been carrying out a number of activities like decorating Ky Dai (Flag Tower) with 1,000 LED lights, firing cannons on Ky Dai, and organizing night activities to change the impression of Hue as a “sleeping early” city. Aside from improving existing tourism products and inventing new ones, it is also working to create series of cultural, arts and sports events, organize periodical festivals, and protect the environment to charm tourists. To explore new tourist sources and maintain traditional ones, Thua Thien-Hue has coordinated closely with airlines, other Vietnamese localities, and foreign destinations to open direct flights and new tours. Notably, it has created favorable conditions for airlines, major businesses and travel companies to offer low-cost and charter flights linking Hue city with big cities in Vietnam and other countries, especially potential markets in Europe and North Asia. 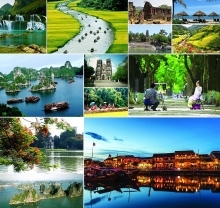 Phuc said the province has worked with the Vietnam National Administration of Tourism to organize fam trips and press trips for foreign travel businesses and press outlets from key and potential markets in Europe, the Republic of Korea, Japan, Southeast Asia, North America, and Australia. Meanwhile, it is also calling for and selecting strategic investors in tourism projects and providing the best possible conditions for major projects to help promote local attractiveness to holidaymakers. 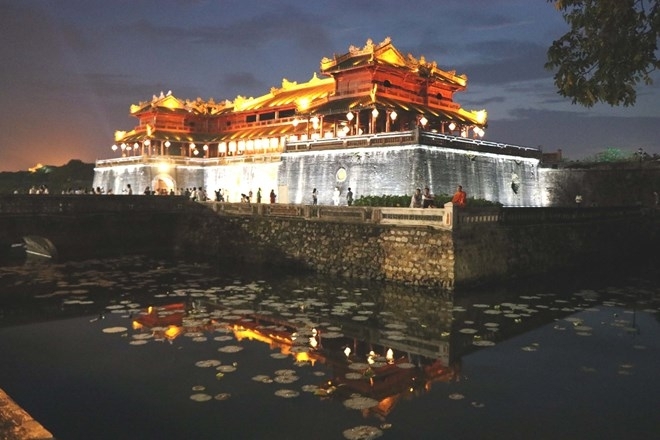 Hue city in Thua Thien-Hue was the imperial capital of Vietnam under the Nguyen Dynasty in over 100 years. It is home to five UNESCO-recognised heritages, namely the Complex of Hue Monuments (World Heritage Site), Nha nhac – Vietnamese court music (part of the Representative List of the Intangible Cultural Heritage of Humanity), the woodblocks of the Nguyen Dynasty (part of the Memory of the World Program), the imperial archives of the Nguyen Dynasty (part of the Memory of the World Program), and the Royal Literature on Hue Royal Architecture (part of Documentary Heritage in the Memory of the World Program in the Asia-Pacific region).